Gr. 4-7. Putnam. Review copies provided by publisher. Gladys Gatsby loves to cook. It's her favorite hobby. She loves trying out new recipes, watching cooking shows, reading cookbooks... Unfortunately, Gladys has an incident with a creme brulee blowtorch, accidentally burning down her kitchen curtains and her parents ban her from the kitchen. Gladys isn't sure what to do with herself after that happens. Imagine if your parents banned you from video games or playing basketball or whatever it is you like to do in your spare time. When Gladys’s new teacher assigns them an essay about their future, Gladys pours her soul into her essay about becoming a restaurant critic, winning the class contest and the chance to submit her essay to the New York newspaper offering 500 dollars to the winner. But when Gladys’s essay arrives at the newspaper office, a tired intern mistakes it for a job application and sends it to the Dining Section. At first, when Gladys is contacted by the food editor about writing a review for the paper, she’s convinced it’s a prank. But it’s not a prank. And Gladys has a chance at her dream job… if only she can figure out a way to get into the city and eat at this restaurant and take notes to review it without her parents finding out. This is a book for anyone who appreciates loves reading about - or eating! - good food! 1. 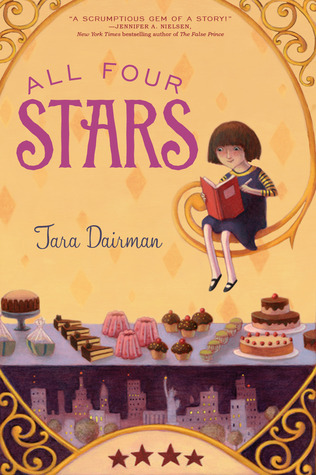 All Four Stars by Tara Dairman (2014). 288 pages. 2. 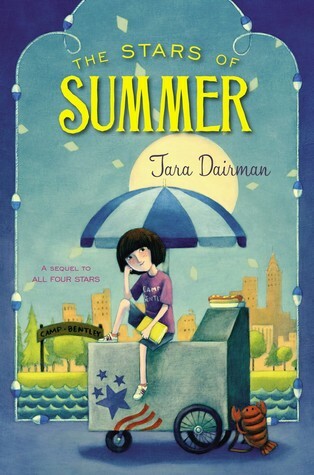 The Stars of Summer by Tara Dairman (2015). 336 pages. 3. 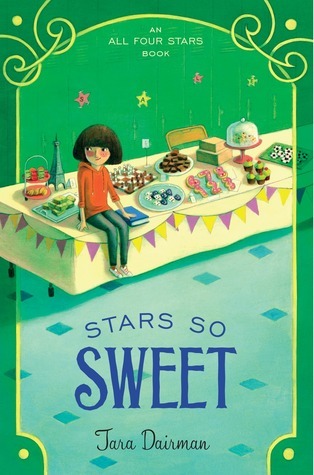 Stars So Sweet by Tara Dairman (July 2016). 278 pages. I am a person who loves watching cooking shows and reading foodie memoirs and such. I like to try my hand in the kitchen every now and then. This series, with its blend of humor and middle grade adventure and foodie descriptions is right up my alley. Gladys is a likeably flawed character; she's a girl very much trying to find her way in the world. Because she spends a lot of time by herself in the kitchen, she doesn't have very many friends. She is a smart girl with a sophisticated palette and doesn't feel like she has a ton in common with most of her peers. But she tries. And it's rewarding to read about a plucky young girl following her dream and figuring out a way to make this job happen. This is a sweet, fun series that is just delightful to pick up and each new story is like visiting with my friend again. College level students face problems for essay writing. they do not know how to complete essay writing throw online. here you can find tips to complete it without any problem. Such useful information! Thank you! My colleague advised using typicalstudent.org/hot/students-life/us-high-school-students-putting-laxatives-into-lemonade-turned-out-netflix-tv-series for the same type of content.